Another Festive Season is upon us and as we reflect on the many years we have enjoyed as a growing business we want to express our gratitude to those who have helped make our business great. Every business looks for a differential to help them stand out from the crowd in order to attract business. Qualitas is no different and we have also looked within to find something special to advertise to the market. Until we realised that our differential was right under our noses. You see, we have been blessed by being able to conduct business with people that we actually like and want to engage with. Way back when the company was in its infancy, we started to employ staff. We really had very little idea of what to look for, so went with our gut and employed people who we felt had similar values to our own and who would carry the flag with as much pride as we did. This proved to be a winning strategy and we have enjoyed many happy working relationships that have become treasured friendships over the years. 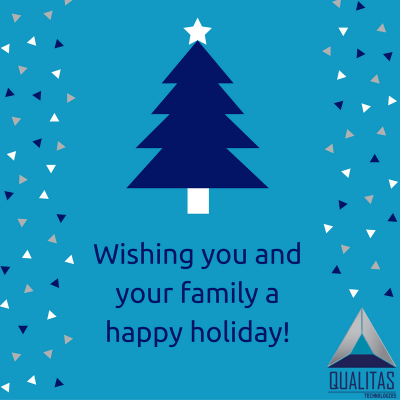 A heartfelt thank you to everyone who has represented Qualitas over the years. It goes without saying that no business could exist without customers. We have been equally blessed with our customers as we have been with our staff. Every day we deal with real people and this makes our jobs so much easier. To everyone that has supported us over the years, we thank you for your support and look forward to continually adding value to your businesses. For many years we pondered the question of how to truly show our appreciation to staff and customers and a few years ago our question was answered. We were kindly introduced to a small organization, on the outskirts of Port Edward, called Sizabuntu. Sizabuntu is a sustainable feeding scheme that supports the communities in the area. Everyone who is assisted by Sizabuntu is also taught about how to grow the food they eat as well as how to prepare it. We were so taken by the model that we wanted to be a part of it. So instead of throwing budget at corporate gifts each year, we pledge our support, throughout the year, to SizaBuntu. Therefore you are also indirectly contributing to this cause, which is why we wanted to share this story with you. This is our way of saying a hearfelt thank you to everyone in our community. We wish you all a peaceful holiday season and may you and your families be safe and enjoy a Happy New Year.